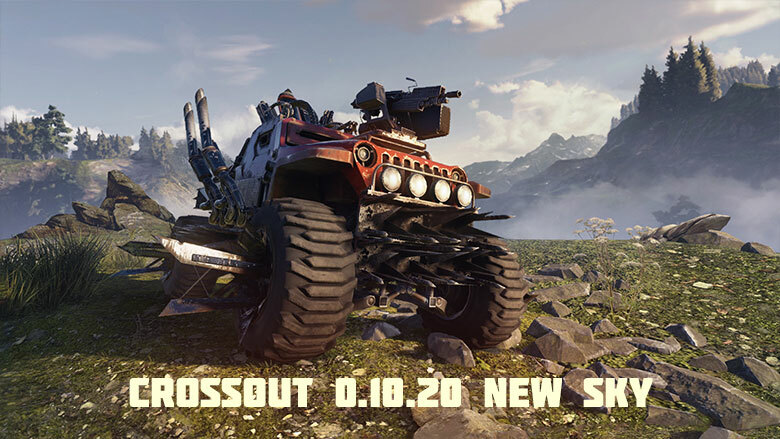 February 4, 2019 — Targem Games and Gaijin Entertainment announce the release of Update 0.10.20 “New Sky” for the post-apocalyptic online action game Crossout. In a major update to the game’s engine, new lighting effects see once familiar landscapes significantly transformed. A realistic scattering of sunlight in the atmosphere, volumetric clouds in the sky, and dense fog forming in the lowlands are some of the changes that will make players see the world of Crossout in a completely new light. These improvements also lay the groundwork for the change of time of day and weather on different locations, which is planned for further updates to make the gameplay feel even more diverse.